Australian agriculture can benefit from proactively seeking out alternative sources of technology from overseas and other industries. 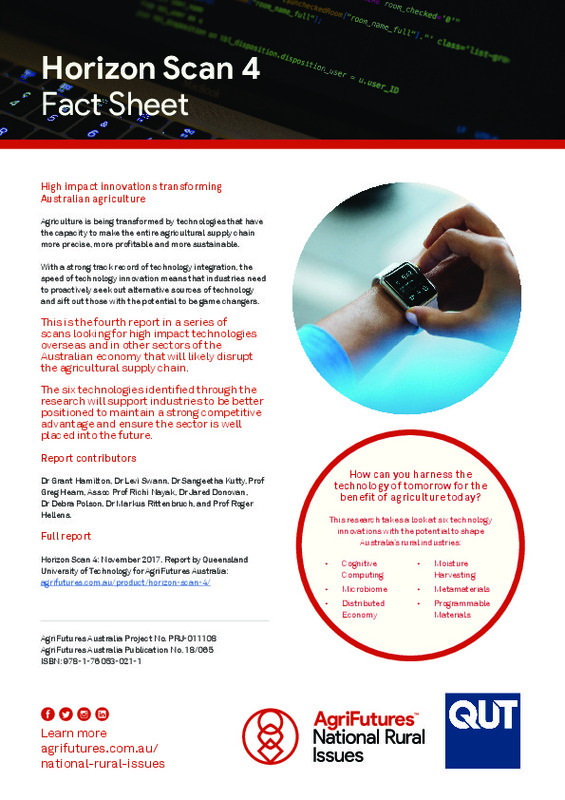 This fact sheet takes a snap shot of six technological innovations with the potential to shape Australia's rural industries. This is fourth in the Horizon series. 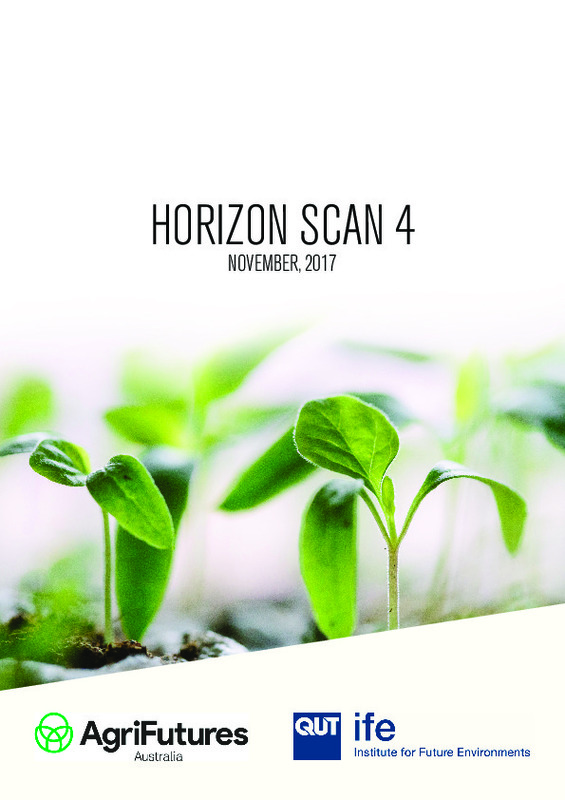 To learn more, download the full report: Horizon Scan 4.